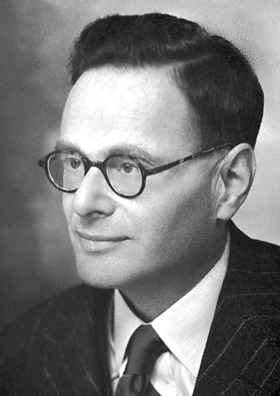 Sir Hans Adolf Krebs, everyone. Discoverer of the Cycle which makes bio students so unhappy. In our last biology post we went over the process of making sugar from water, carbon dioxide and sunlight, an essential piece of knowledge for success on the AP bio test or SAT Biology subject test. Now that we created sugar, let’s go over the process of breaking it down to create energy. Cells use sugars such as glucose to create the energy needed to carry out all the other processes in the cell. This sugar breakdown, also called cellular respiration, can happen in the presence of oxygen (aerobic respiration), or in its absence (anaerobic respiration). In my 1 on 1 tutoring sessions with my biology students here in Boston, I like to go over the main steps of aerobic respiration, as that is what happens most of the time, and then go over the anaerobic process and clearly indicate how it is different/deviates from the aerobic process. As you can see, 2 molecules of ATP are needed for this reaction to occur, but you produce 4 molecules of ATP total, resulting in a net gain of 2 ATP molecules. Once produced, the two pyruvate molecules are converted to two molecules of acetyl-CoA. This process is carried out by the pyruvate dehydrogenase complex, and it results in the production of one NADH and one CO2 per pyruvate molecule. Summed up, the reaction can be shown below. The acetyl-CoA can then enter the Krebs Cycle (also known as the Citric Acid cycle) in the mitochondria. While the cycle is a series of complex reactions (shown below), it is important to remember that each Acetyl-CoA molecule combines with one 4 carbon molecule (oxaloacetate), goes through a series of reaction that produce two CO2 molecules (coming from the two carbon molecules in acetyl coenzyme A) and regenerates the oxaloacetate molecule (making the process a cycle). During this process you produce one molecule of ATP, 1 FADH2 and 3 NADH molecules for each acetyl-CoA molecule that enters the cycle. Since one glucose molecule gives rise to two acetyl-CoA molecules, the total energy count for the Krebs cycle is 2 ATP, 2 FADH2 and 6 NADH molecules. The last step of cellular respiration happens in the inner membrane of mitochondria. Here the electrons being stored in the NADH and FADH2 are transferred from electron carriers to electrons acceptors until they meet their final electron acceptor-oxygen. As electrons move through the electron transport chain, H+ ions are pumped into the intermembrane space, creating a chemiosmotic gradient which then in turn drives the phosphorylation of ADP by the ATP synthase to produce ATP, the energy currency of the cell (the energy released from the H+ ions going down the concentration gradient is used by the ATP synthase to make ATP). Two protons will join the final electron acceptor, oxygen, to produce the water we see in the cellular respiration reaction. No oxygen present? What now? However, if no oxygen is present in the cell, the electrons from the sugar will not make it as far as the oxidative phosphorylation step. Glycolysis will still happen in the absence of oxygen, but pyruvate will not form acetyl-CoA. Instead, it will enter the fermentation process producing either lactic acid (in muscle tissue), or ethanol (in yeast and certain bacteria). However, you might ask- if no oxygen is present, why can’t the process go forward until the oxidative phosphorylation step? After all, we haven’t seen oxygen being used until that step. Well, it is true. Oxygen is in fact used only at the last step of oxidative phosphorylation, but that process takes the electrons from the electron carriers producing empty electron carriers (NAD+) to be used in glycolysis, acetyl-CoA formation, and Krebs cycle. So, while these steps (glycolysis, acetyl-CoA formation, and Krebs cycle) are not dependent directly on oxygen presence, they are dependent on NAD+ which is generated only during oxidative phosphorylation. In fact, this is what fermentation is trying to do- to produce more NAD+ . Lactic acid/ethanol production is also accompanied by conversion of NADH to NAD+ . However, the amount of NAD+ produced is large enough to only support glycolysis, which is why in the absence of oxygen (and thanks to fermentation), glycolysis continues to happen. The energy produced by glycolysis alone is small compared to what is produced by the aerobic process, but it is still better than nothing. The cell has to work with what it’s got!